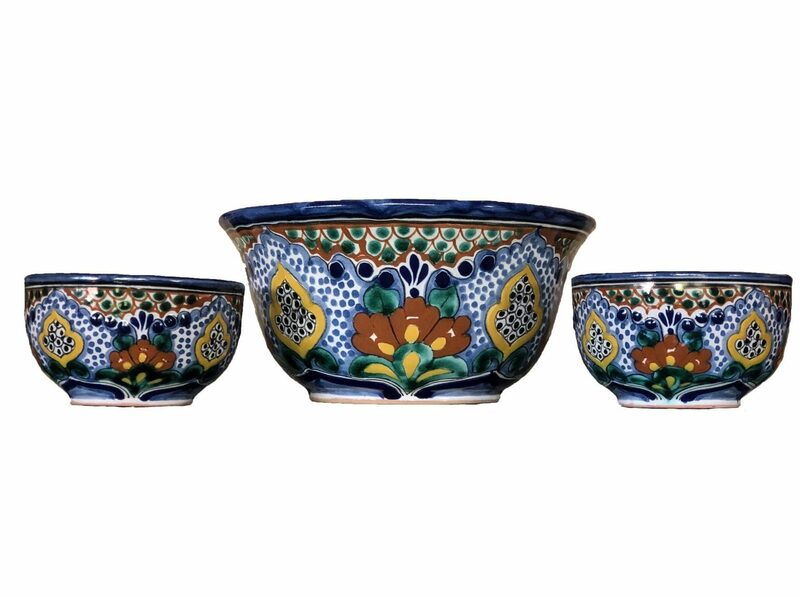 Set of 3 Talavera bowls, 1 Large and 2 small bowls could be used to put your chips and sauce, fruit, decoration and more. 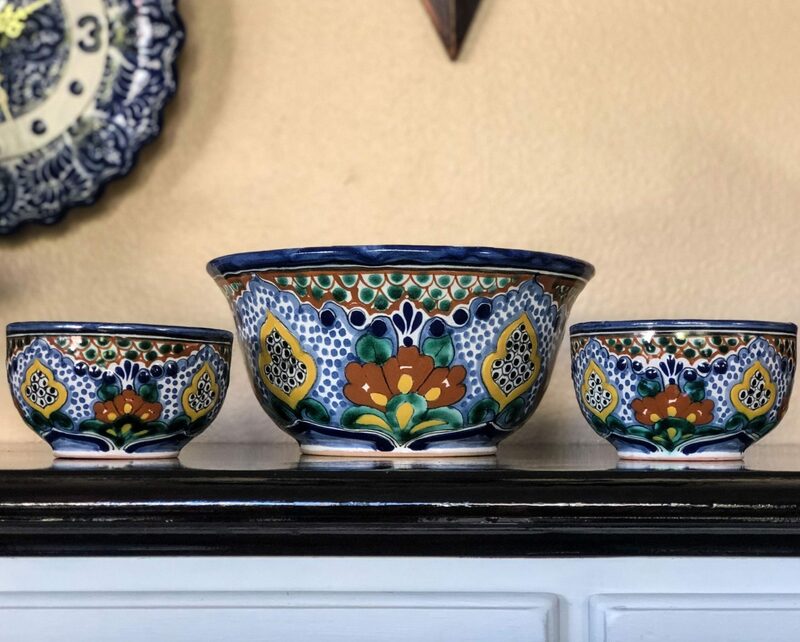 These beautifully handcrafted bowls by “La Corona” is original design from this workshop, each bowl is hand painted by artisan from the Tlaxcala region. Our plates are 100% lead free; chip resistant; and microwave, oven, and dishwasher safe. Custom designs and sizes are available by request. The price is for the set of 3 bowls. 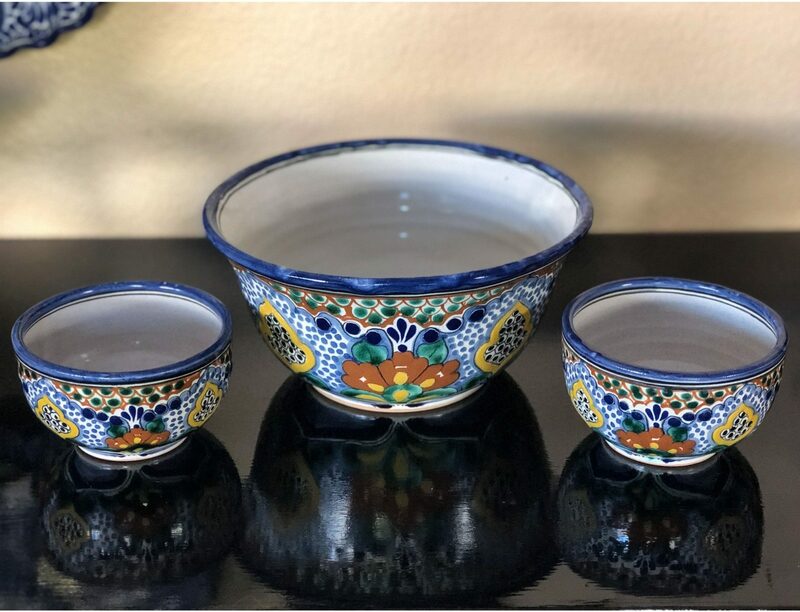 Beautiful set of 3 Talavera bowls, one large bowl 9 1/2″ diameter and two 5″ diameter to use with your chips and sauce, fruit, decoration and more. The workshop “La Corona” makes each dish with the same technique that used through the years. They workshop have hundreds of different patterns, same designs are in bowls, cups, vases, and all the pieces of crockery. These beautifully handcrafted Talavera bowls will make a vibrant and culturally addition to any space in your home. Plates are 100% lead free; chip and crack resistant; as well as microwave, oven, and dishwasher safe. As we work directly with the workshop custom designs and sizes are available by request.